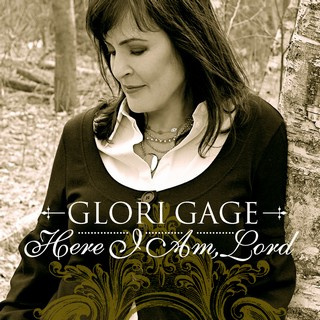 Her Here I Am, Lord ~ is one of the songs featured on the CD 'Sacred Songs' and due to the overwhelming international success of this song, we felt we needed to re-release this song in MP3 format for easy download. This most precious CD was inspired by a wonderful meeting of Esther and Ben Sanidad whom I met in 1997. This story is truly an inspirational one and is mentioned in Dr. Ben Sanidad's book "Choosing to Live"...a book about courage, faith and great love. With their love, support and generosity of spirit, helped to make this CD a reality. My ever talented and treasured John Sheard produced and arranged this song. I have always believed that when you love a song that you don’t want it to end, and so I asked John if he could extend this specific song. And so in only John’s way...'ask and you shall receive'...John created one of the most beautiful music compositions that still bring tears to my eyes when I hear it. John also brought a new addition to this song with the engineering talents of L. Stu Young and working at Trubble Clef Studios. It was fun to watch "the boys", as I called them, work their magic in the studio. I don't know if it was the combination of the music I was recording, the amazing team of John & L.Stu, or the circumstance associated with this specific recording, but I had never felt such a 'calmness'. ..such a sense of utter joy, as I did, recording this song.